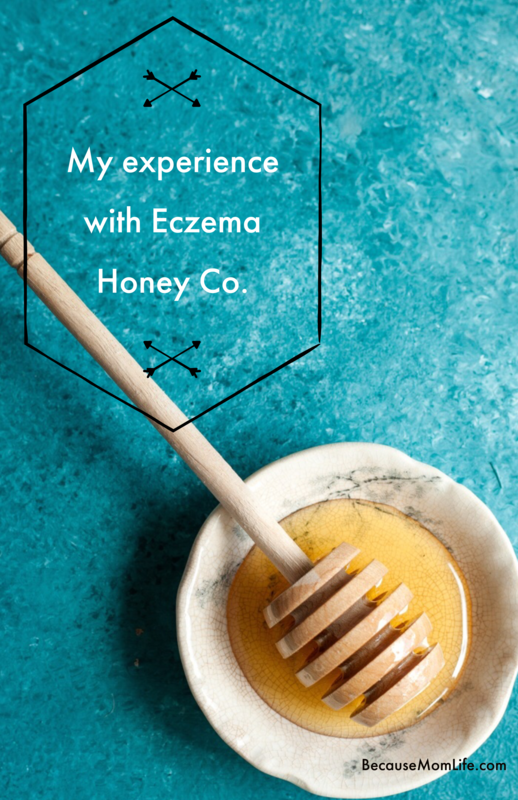 Eczema mom here, Here’s my experience with Eczema Honey Co.
You expect the sleepless nights, the teething, colds and fevers, baby proofing the house etc… but little expect eczema. I sure didn’t. It’s a day to day struggle just to keep my baby’s skin hydrated and I’m SO glad I have the opportunity to collab with Eczema Honey Co and share their product with you. Ok, ok. I know you’re probably rolling your eyes right about now thinking “Another collab? I wonder how much she got paid to post about this product.” If you’d like to give me just a moment to explain my story please read on. I’ve probably dropped a good $1000+ on lotions at Target and Walmart. I’ve spent even more on doctors and treatment regimens. 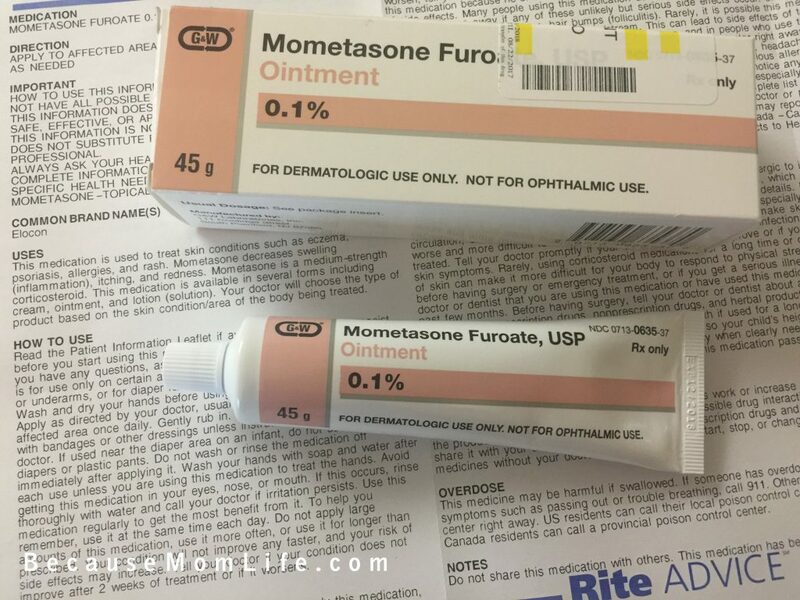 I regularly search on Google and Amazon day in and out for new eczema related products. I’ll spend every last penny I have if it means my baby wouldn’t have to suffer anymore. If you’re still reading you’re probably in the same or similar shoes. 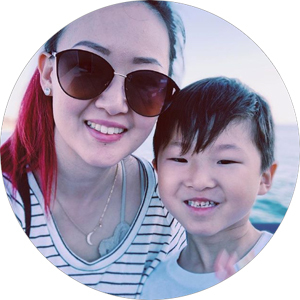 If you’re like me and have a child with Eczema (Atopic Dermatitis) you’ve probably seen the ads on your Facebook or Instagram feed for a product called Eczema Honey. 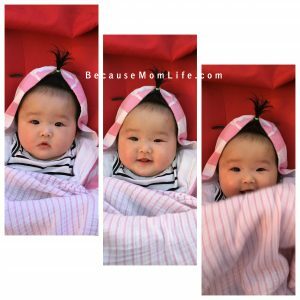 I was seeing tons of positive comments, reviews, and posts online. Like anyone else who’s been disappointed over and over again with lotions and creams that just don’t work, I shook my head, saw this as another ‘too good to be true’ product, and scrolled up. Someone I actually knew purchased Eczema Honey and told me about their results: Clear skin in 14 days. 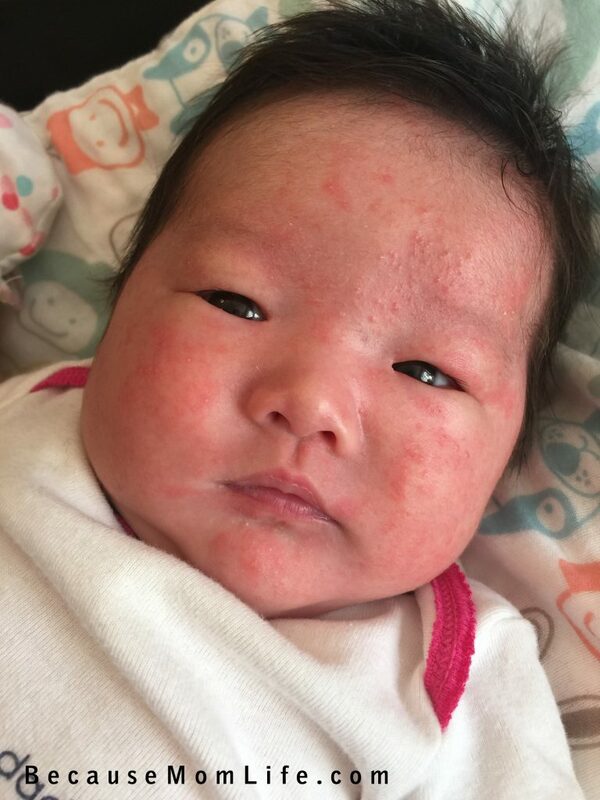 Healed her baby’s red and chapped skin from the inside out. From that moment on I was eyeing this product and started researching what could be making it so effective. What kept me from purchasing right away? Fear of being let down and being $30 poorer. A couple months after that Eczema Honey Co reached out to me for a collab and words couldn’t even describe how excited I was for this! I received my package just a day or two before leaving for NJ just 2 weeks ago. Well packaged, clean and modern. The items I received were the Nut Free Eczema Honey Healing Creams. Maverick isn’t allergic to nuts as far as I can tell but it’s good to know this product is produced at a completely separate facility than the Original Healing Cream which contains nuts. On the directions there are 2 ways to apply Eczema Honey onto the skin. Rub a dime sized amount on the effected area 1-3 times a day. Apply a thicker layer for a 20 minute mask. Wash off with a warm towelette for a moisturized finish. I went with method 1 just because I wasn’t sure how I was going to apply a mask on a 8 month old without getting it everywhere. The first ingredient is Organic Pure Honey and it also contains Organic Grated Beeswax so the texture and feel were definitely expected, but did I like it? No, I don’t like the feeling of this product on my hands for too long so I wash them after applying it on baby Maverick. It’s possible that you’ll be able to ignore the tacky feeling if the Eczema Honey was applied to a different area like the face. I haven’t tried it. No, because Eczema Honey Does Not Cure Eczema, Nor do they claim it does. Of course, everyone’s skin is different and what didn’t work for us can definitely work for you! Read the reviews on Amazon and other sites and make a balanced decision about your purchase. 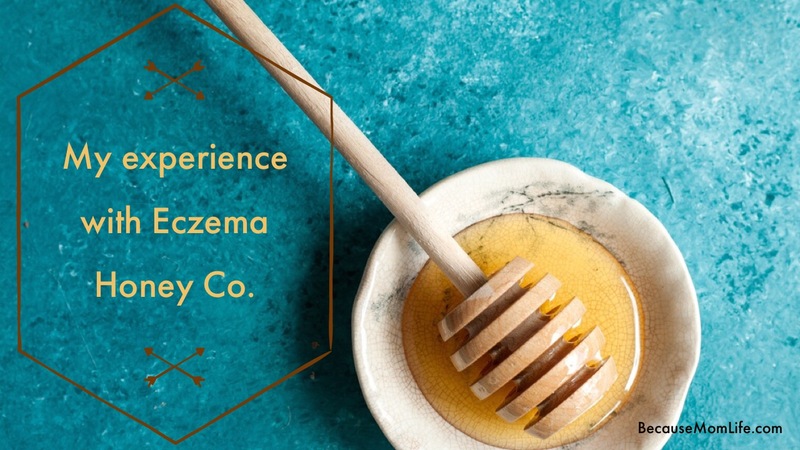 You can save 15% off every jar when you subscribe to Eczema Honey Co. This is great because you’ll never run out of Eczema Honey and you’ll receive your discount. You can choose to receive your product once a month or once every 2 months. Ok, so let me get into how I’ve been applying products on Maverick lately. Before I do this let me go over our situation. He suffers from flares that start off as red skin that looks like he was slapped. 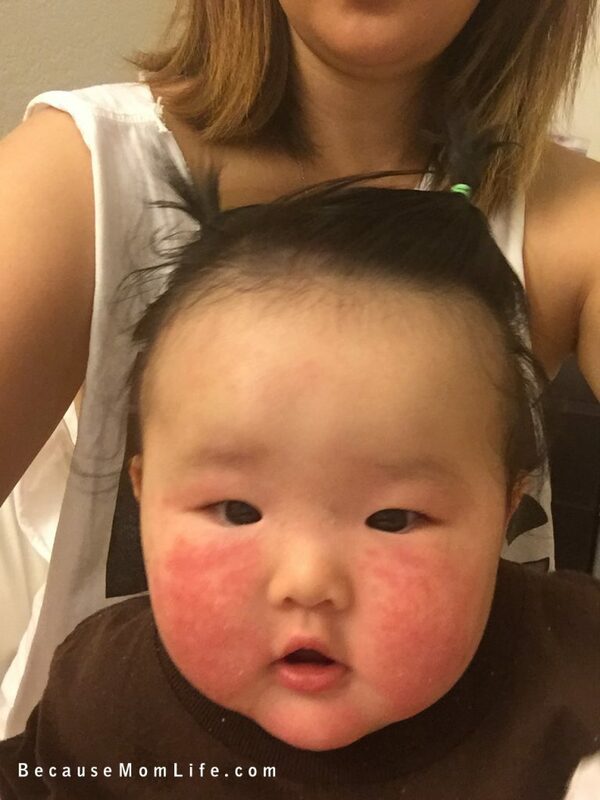 This quickly escalates to a weepy wet looking rash that is inflamed and hot to the touch. Once the flare can calm down a bit he has patches of dry flaky skin left where his flares were concentrated. He has a sensitivity or allergy (not sure yet) to eggs. NOTE: I must add that I am not a doctor! You need to check in with your doctor before trying anything you find online. Period. 1. Keep cool. 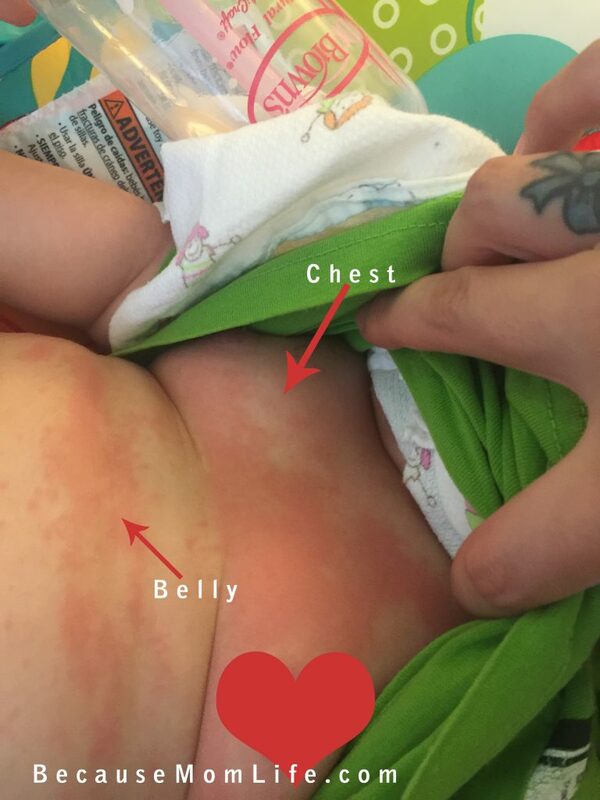 When Maverick Is having a flare his skin is red, inflamed and hot to the touch. I use a wet paper towel or spray bottle of water on the skin to help cool down the flare. And YES, IT DOES MATTER WHAT KIND OF WATER YOU USE! I’ll get into more details on this soon! It’s way too much info to squeeze into this post. Stay Tuned! 2. Hydrate and lock in the moisture the best you can. Once the skin is wet (or straight out of the bath too!) lightly pat dry and use a lighter lotion or something of the sort that will seep into the skin quickly. Currently using (Eczema Honey) This alone doesn’t work as effectively… we need to use a thicker emollient on top to trap the moisture onto the skin. Our doctor suggested Vaseline but there are tons of options out there that aren’t as sticky and won’t stain your clothes. I have been using Vanicream for this step and love it! 3. Be diligent. 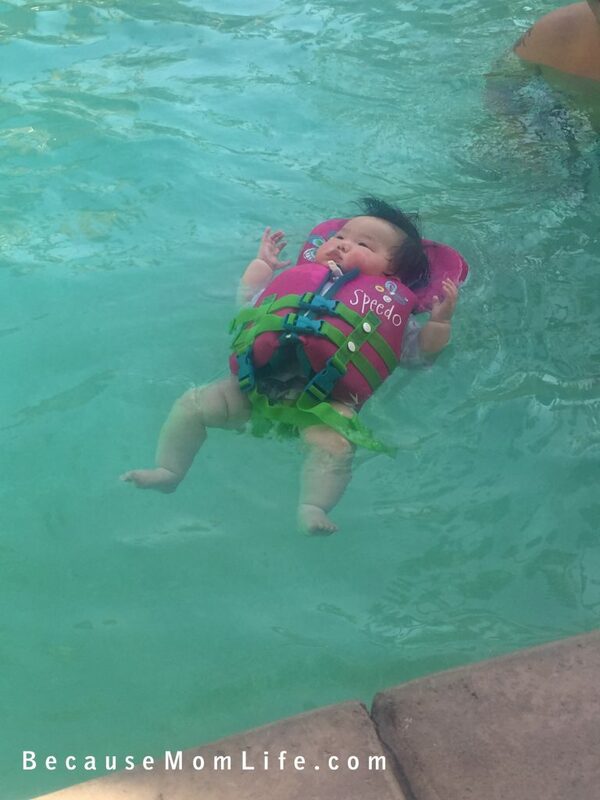 It’s hard work to keep up with your baby’s skin drying out. 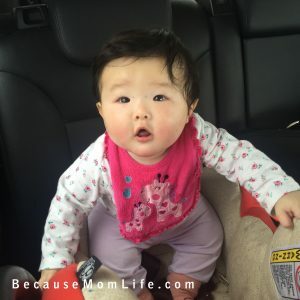 When your baby has a clear day that’s when you need to focus even more on hydrating and try to extend the amount of time between each flare. I will do the above steps 2-3 times a day. In between I will use some Vanicream if I notice the skin looking dry. When Maverick’s flares get too crazy, like a lot crazier than usual, I’ll use the steroid ointment he was prescribed. 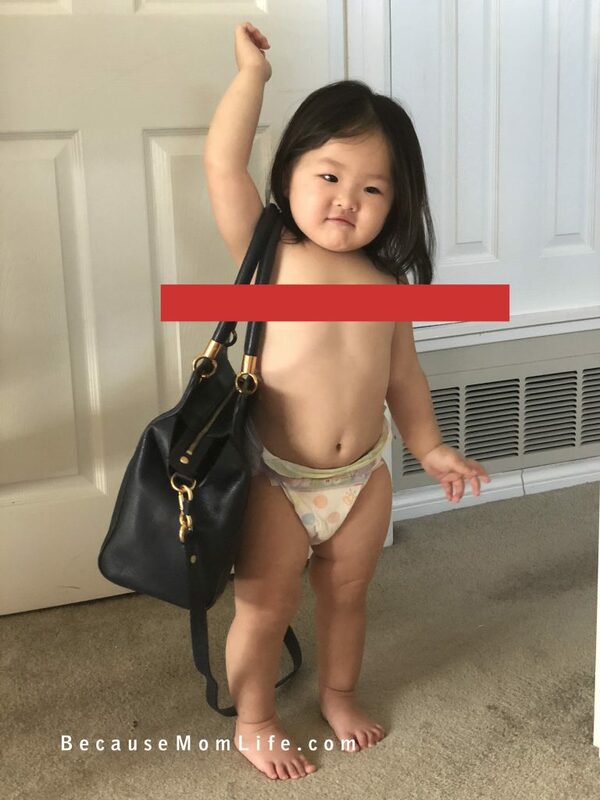 (please no mom shaming!) We will usually have to resort to this every 10-14 days. I just can’t watch my baby scratch and scrape layers of skin off just because ‘I need him to heal naturally’. Personally, I believe that the healing process can be amplified if you focus on first STOPPING THE SCRATCHING and taking care of the skin even more on the ‘clear’ days rather than slathering on a bunch of stuff when you’re in the middle of a flare. That’s just me and my opinion tho. 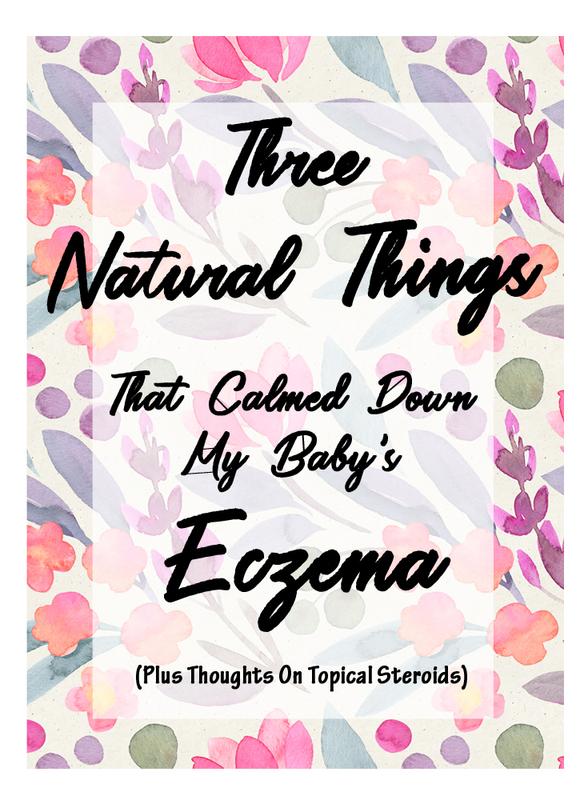 When it comes to eczema each child is different and what works on my 2nd won’t work on my 3rd. 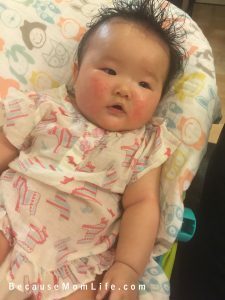 Both of my eczema baby’s react differently to certain foods and even lotions so your situation may not align perfectly with mine. I hope if you’re in need of some advice, and just plain and simple opinions and info you’ll be leaving my page with just that. 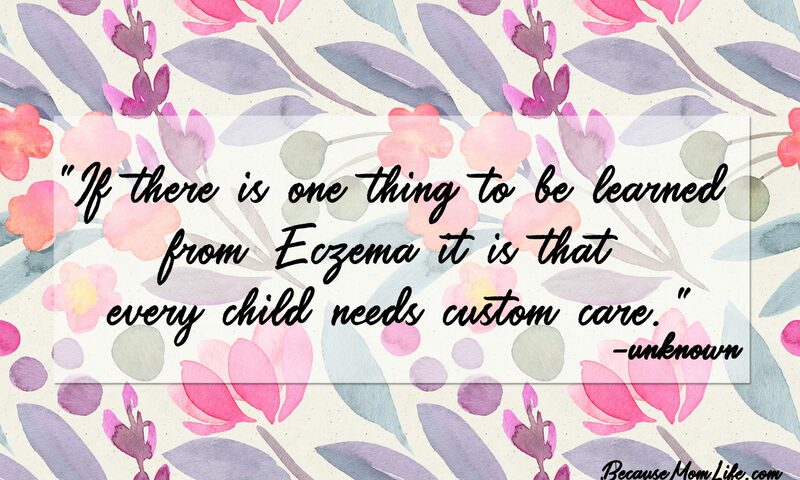 When it comes to Eczema, I truly feel like the more knowledge you have of your product options the better choices you can make for you and your little one. YES, I do need to make a living. This is why I have links and ads in my posts. If you do decide to purchase anything using my links I will get a small commission for each sale at absolutely no extra cost to you. This will provide me with the ability to continue blogging and doing what I love! Thanks in advance and have a wonderful day!